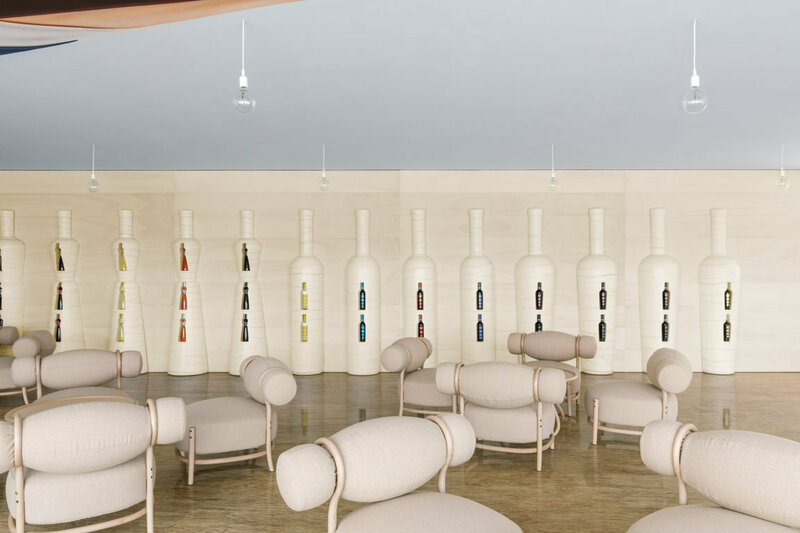 Twenty Chignon lounge chairs designed by LucidiPevere for Gebrüder Thonet Vienna GmbH, with their curvilinear, feminine shapes characterize the tasting room of L’Astemia Pentita. 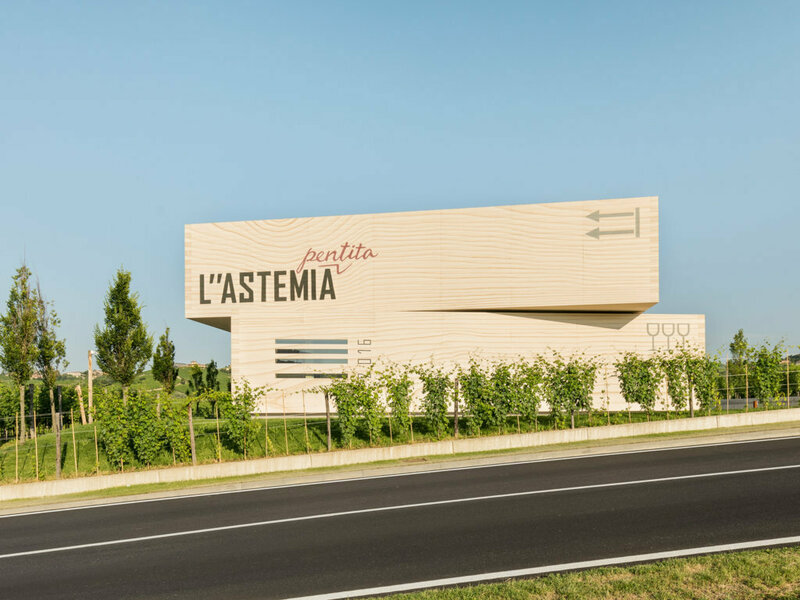 The sensational project was signed by Gianni Arnaudo: placed as a sculpture on the hill amongst the vineyards, the cellar is made up of two large overlapping volumes covered in wood, two over-sized wood-covered wine boxes. The two volumes evoke the boxes, not only because of their shapes and the materials used, but also because of the typical graphic elements of the wooden wine containers, which, in fact, become decoration of the architecture together with the beginning year (2010) and the end of construction (2016) declared on the façade. In the interior where prevails a warm aesthetic provided by light wood reflecting the external finishes, we can find the wine shop on the ground floor, and the tasting room and customer reception area on the first floor where stand out the Chignon chairs personally chosen by Sandra Vezza, who personally took care of the interior design project. Thanks to the natural beech frame and the refined Kvadrat upholstery, the Chignon lounge chairs fit perfectly into the space, and characterise it with their soft aesthetics. With a veiled retro notes, the lounge chair, which favours a choice that contrasts with the classical aesthetics of Gebrüder Thonet Vienna is best described as a balance between softness and lightness. The entirely bent wood structure is designed to envelope and enclose the sinuosity of the chair, acting as a support for the comfortable and voluminous seat and the soft, pleasant seat-back. These elements are brought together by two beechwood curls – GTV’s formal stylistic trait par excellence – resembling a kind of coiffure.